Getting those framelits/thinlits off that sticky paper! Have you tried to get your new Stampin’ Up! framelits or thinlits off that very sticky paper without bending them? My friend Susie Guenther gave me the following tip and it works slicker than you know what! 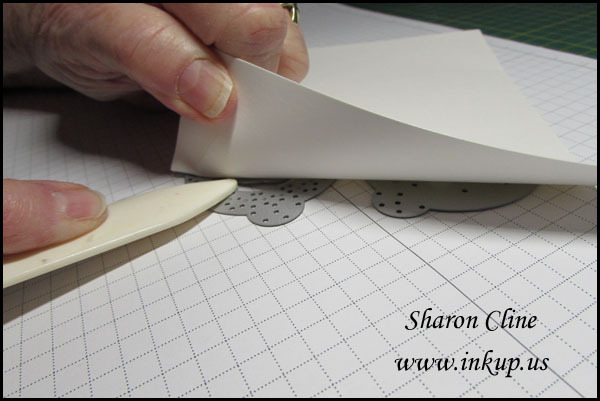 Lay the white card with the framelits attached face down on your work surface. Lift up the corner of the white card back to the first framelit. 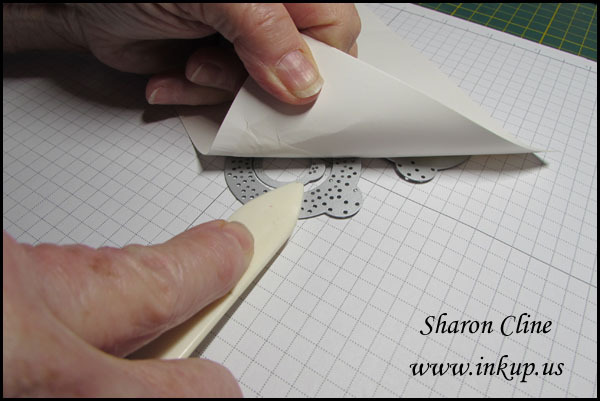 Place your bonefolder on the framelit and hold the framelit tightly against the work surface while you pull the white sticky card away from the framelit. As you pull the white card away from the framelit, keep moving your bonefolder on the framelit. Once a framelit is released, move on to the next framelit until they are all set free. Once they are all set free, I throw that card with the sticky tape on it in the trash. I found that if I stuck the framelits back on the card, you run into the same problem trying to get them free again. I purchased magnetic sheets (25 sheets 5″ x 7″ Magnetic (20 mil) Adhesive Magnet) from Amazon and that’s what I transfer my framelits to after they have been set free. Side Note: If you have a scanner, scan the sheet of framelits before you release them. 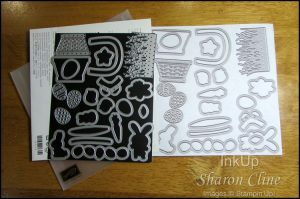 Then, whether you just simply place them back in the envelope they came in or transfer them to a magnetic sheet, you have an image of the shapes that came with the set – always a great idea in case you lose one – then you know what is missing. This entry was posted in Tips and Tricks by Sharon Cline. Bookmark the permalink. Great tip ! This sticky stuff that`s used should be put on the market for those items we use Fast Fuse and Sticky Strip to keep `em stuck ! I have not thought about the Bone Folder !